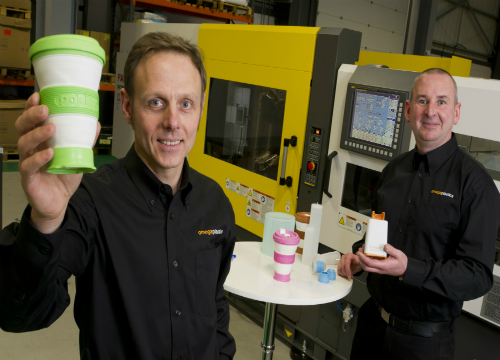 A budding inventor’s appearance on a popular daytime TV programme has seen order books boom for a North East-based plastics manufacturer. 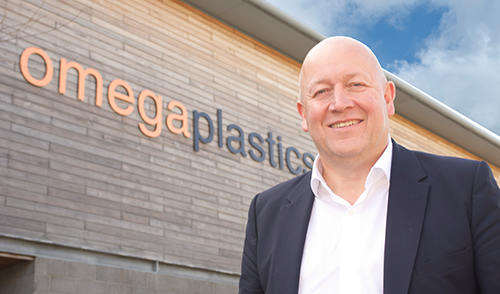 Washington-based Omega Plastics is benefitting from its customer, Andrew Brooks’ appearance on Channel 4’s Buy It Now. Hosted by actor, presenter and comedian, Brian Conley, Buy It Now is a fast-paced, ‘Dragon’s Den’ style show where inventors and makers of new and exciting products are given just 90-seconds to pitch their creation to an audience of potential customers, before they are spun off a revolving stage. However, if the inventor manages to keep the audience engaged until the time is up, they will then have the opportunity to pitch to a panel of retail buyers. Andrew not only managed to successfully win the audience over with his design for the pokito collapsible travel cup, he also managed to capture the imaginations of all three of the show’s retail panellists, including JML chief executive officer, Ken Daly, Firebox managing director, Kristian Bromley and Ideal World managing director, Fran Busby, securing a contract for a total of 1,400 units, which has fed directly back to Omega Plastics. Adjustable to match the size of the user’s drink (from 8oz espresso to 16oz grande), the pokito has been designed to collapse when finished with for ease of storage and portability. Made from food-safety approved and eco-friendly TPE (thermoplastic elastomer) and PP (polypropylene), the pokito has been designed with the planet and the consumer in mind. With built-in insulation to help keep the contents hot whilst protecting the user’s fingers from burning and a unique raised lip to help minimise spills while drinking on-the-go, the pokito is marketing itself as the busy commuter’s new best friend. 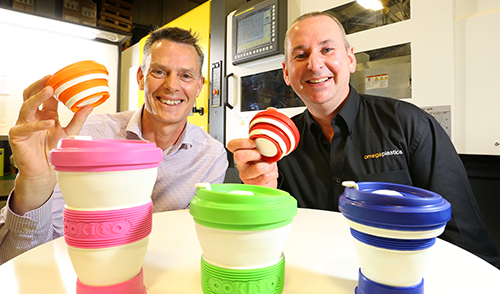 Having now been in production with Omega Plastics for over a year, the plastic injection moulding specialist has already produced around 35,000 pokito cups, but this latest order is by far the single largest to date. “We’re absolutely delighted that business is going so well for Andrew and the pokito. 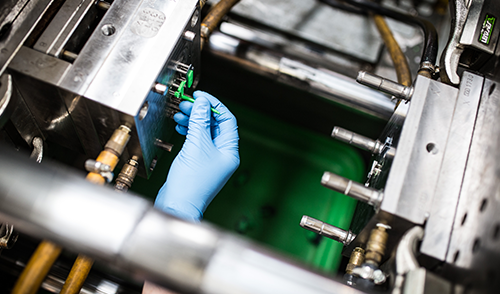 “We have been working closely with Andrew from the very beginning to provide a full turn-key solution for the pokito, successfully creating the tools needed to produce and mould all five of the pokito’s components and then supporting the project through the manufacturing process. Andrew came up with the concept for the pokito back in 2006 while on a fishing trip in Canada where he witnessed the effects of the logging industry first-hand. “The loggers had clear-cut a whole mountain of its pine trees, all of which were destined for the local paper mills,” Andrew added. This sentiment has been felt across the UK recently with the government’s proposed 25p tax on all disposable coffee cups. The nation’s coffee drinkers initially had mixed reactions to the proposed ‘latte levy’, which was discussed in parliament earlier this year, but now it seems like people are ready to embrace the idea of reusable cups in a bid to save the planet and their pennies. “I never expected the pokito to get such an amazing reaction from the audience and the buyers on Buy It Now, but I am so glad it did,” Andrew concluded. To find out more about the pokito, visit www.pokito.net or click here to find out more about our range of services.